Another option is the data from Peter Bird at UCLA that he described in his article "An updated digital model of plate boundaries", $G^3$, 2003. He provides the data in ASCII format in their ftp site (they include a readme file with the description of the data). Not the answer you're looking for? 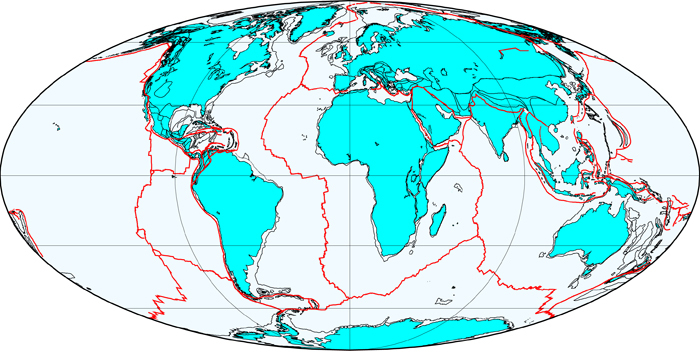 Browse other questions tagged plate-tectonics tectonics or ask your own question. What is the tectonic setting for the formation of the Great Dividing Range in Australia?